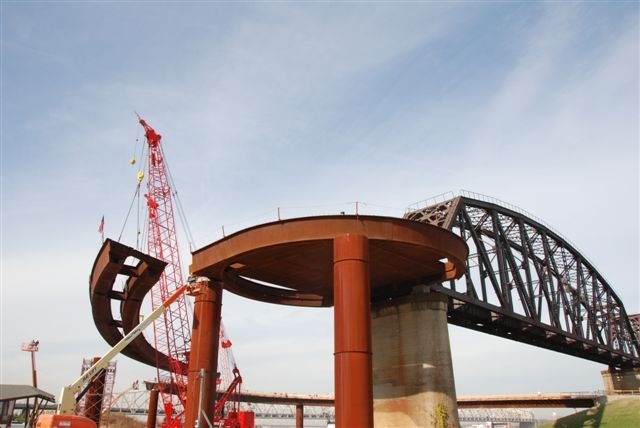 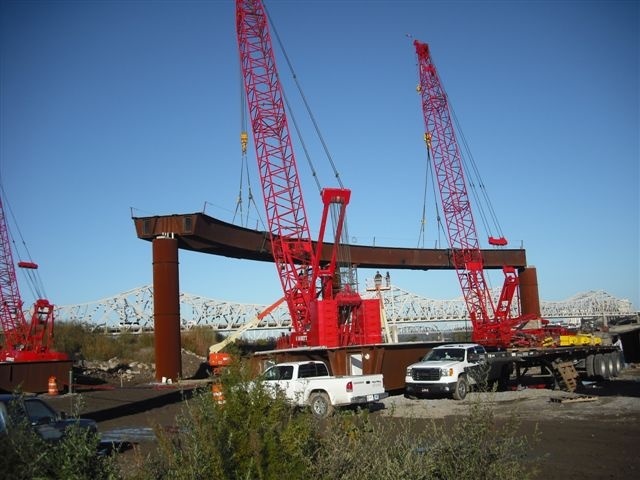 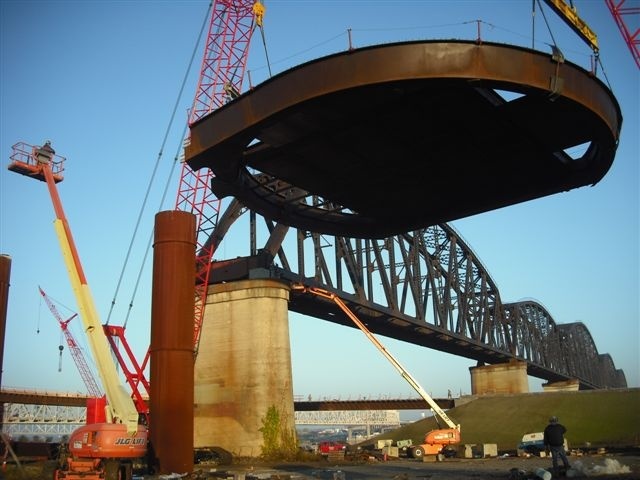 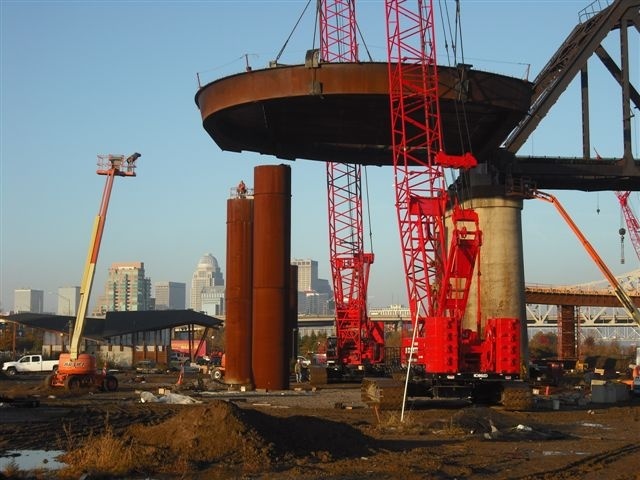 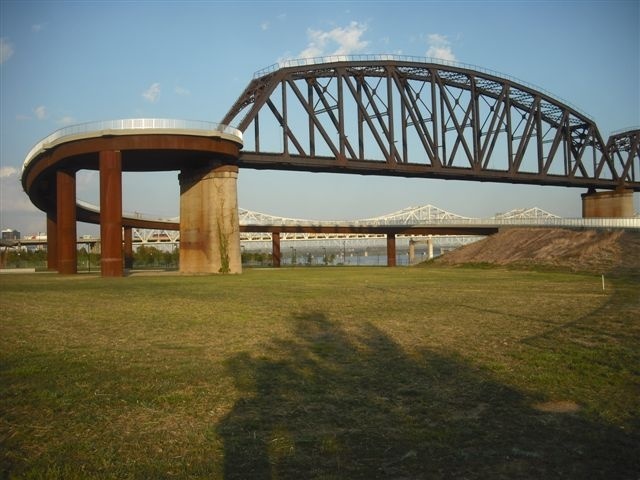 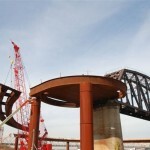 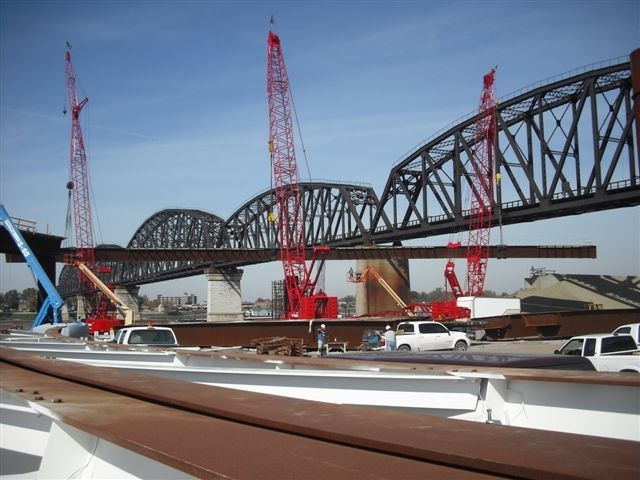 When the City of Louisville, Kentucky was given the abandoned Big Four Railroad Bridge over the Ohio River, it saw this as an opportunity to build a new pedestrian bridge over the Ohio River that would provide a centerpiece to the third phase of the Louisville Waterfront Park. 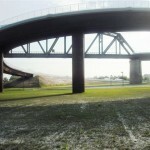 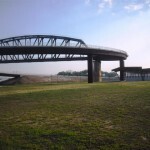 The city seized this opportunity in the Spring of 2008 and began the development of a project for the approach ramp, the landing platform/overlook, and the connection to the existing railroad bridge. 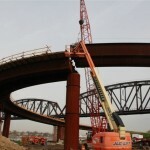 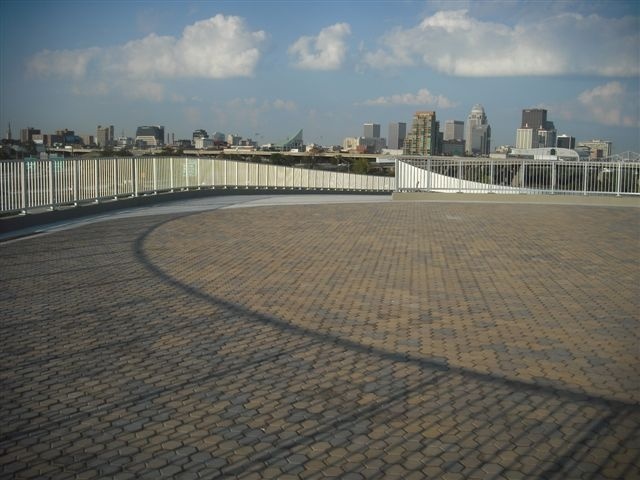 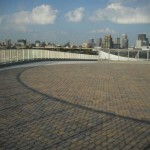 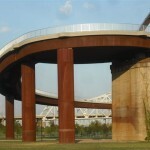 The Big Four Pedestrian Ramp is a 693 ft.-long twin steel box girder bridge and circular landing platform. 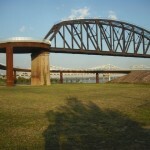 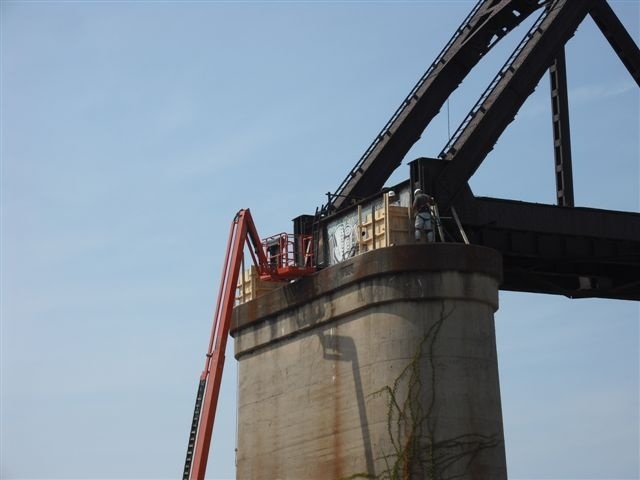 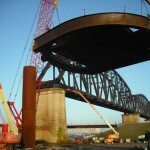 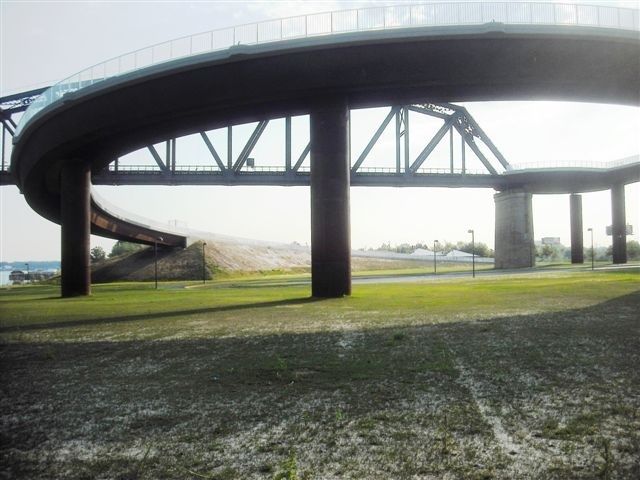 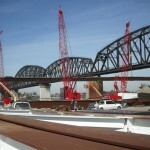 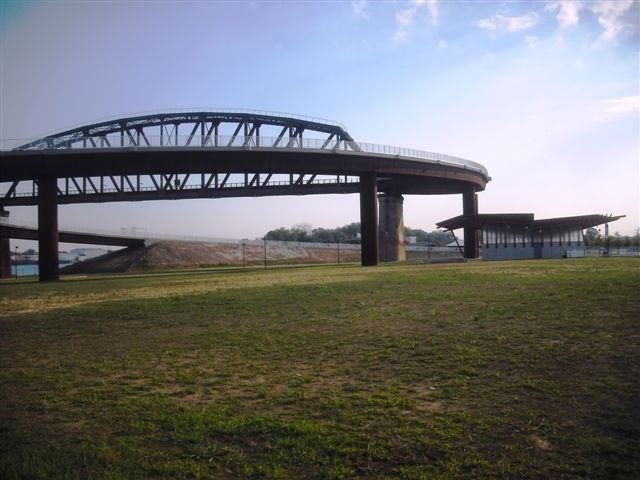 It serves as an access ramp to the existing Big Four railroad bridge and a pedestrian crossing that connects Louisville to Southern Indiana. 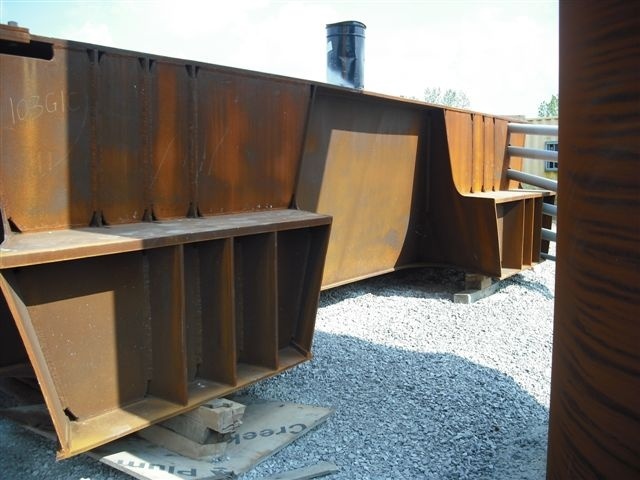 Through a Value Engineering redesign, FINLEY was able reduce the costs relating to materials, fabrication, and construction for the client by approximately $1 million. 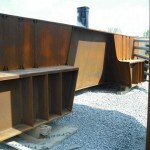 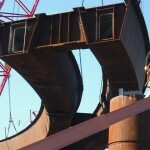 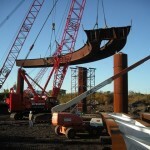 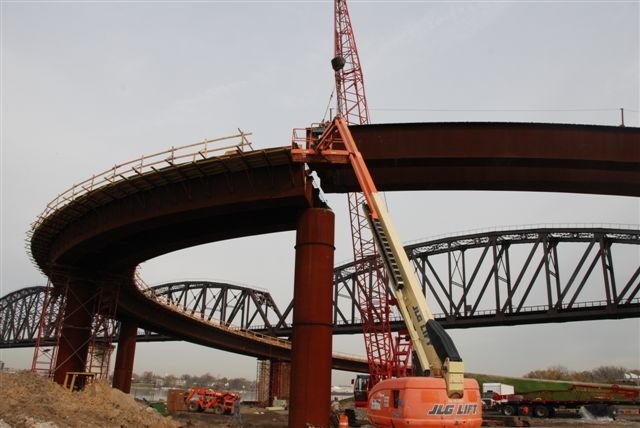 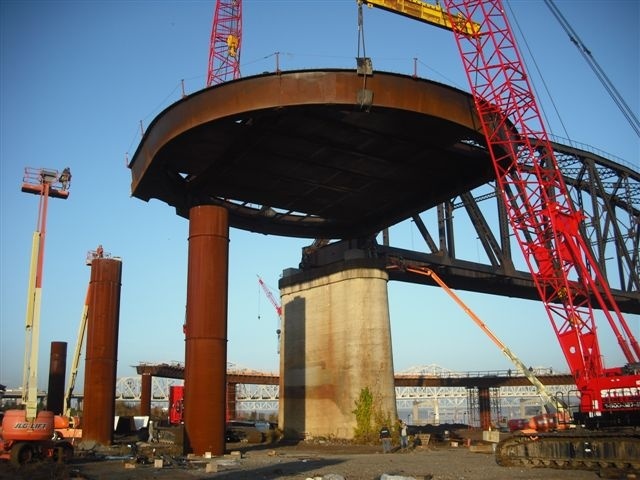 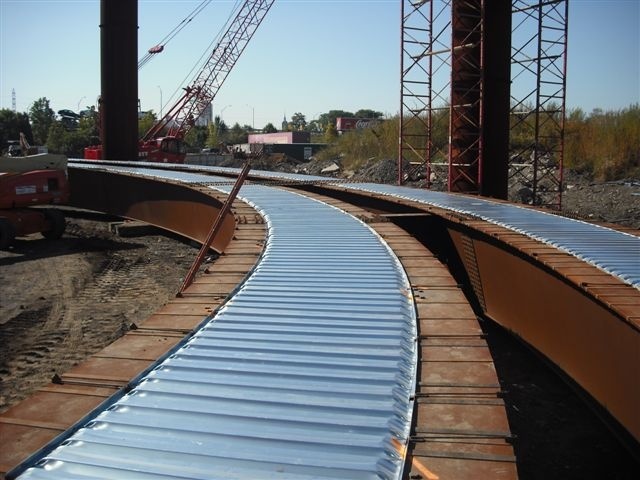 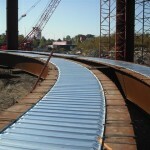 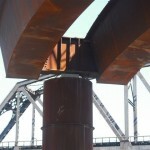 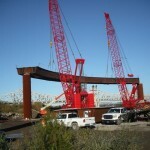 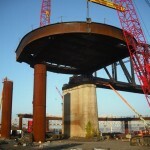 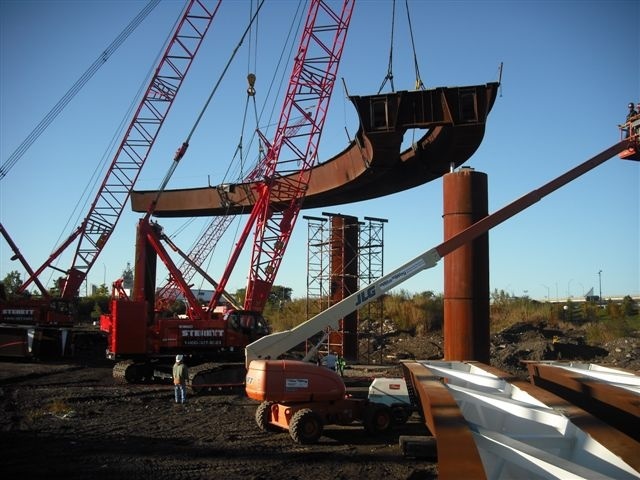 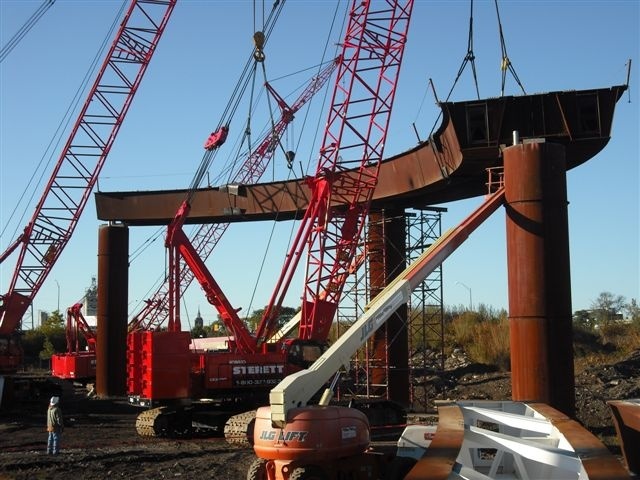 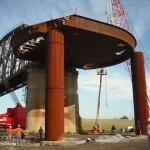 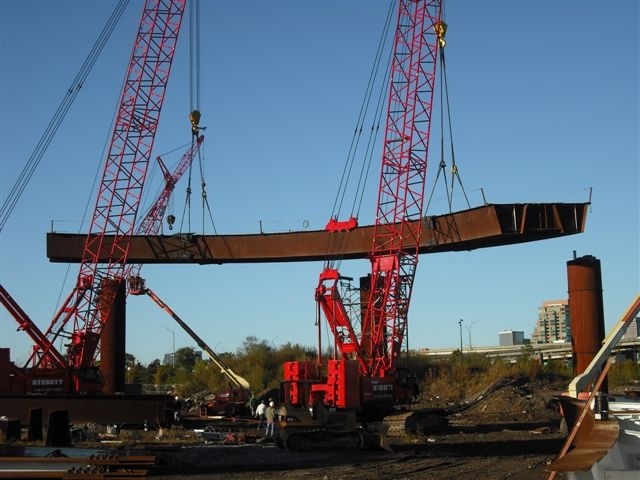 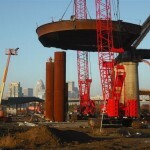 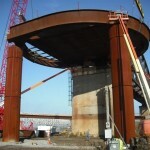 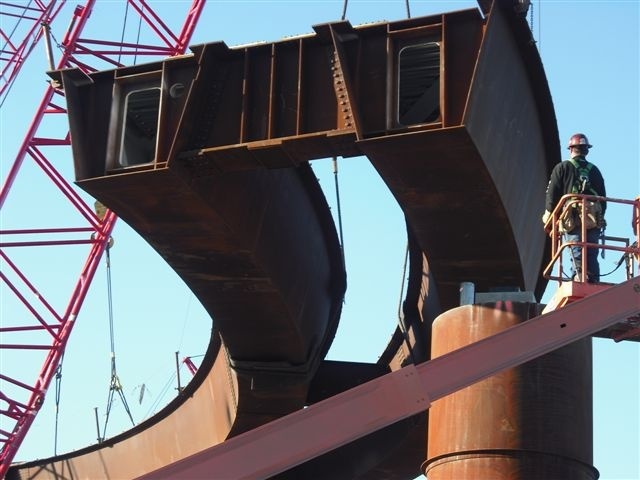 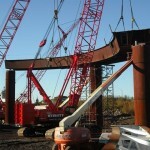 The redesigned ramp structure incorporated a constant girder cross section, reduced deck thickness, and new integral pier connections, all of which helped to reduce fabrication and erection costs. 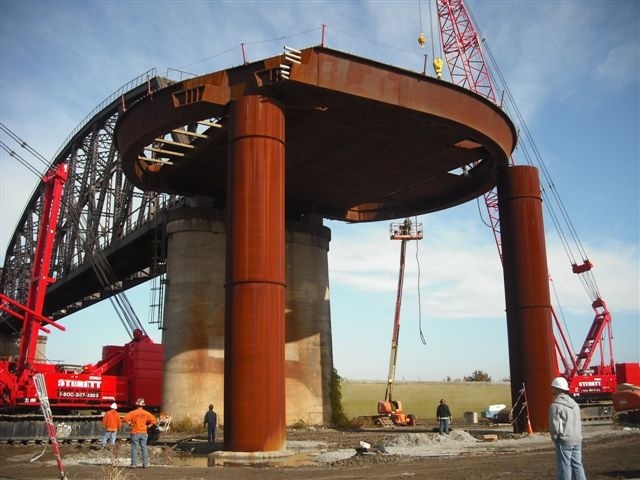 FINLEY simplified the erection and fabrication of the girders and mitigated extreme thermal effectsby converting the ramp from a single continuous structure into three two-span continuous units. 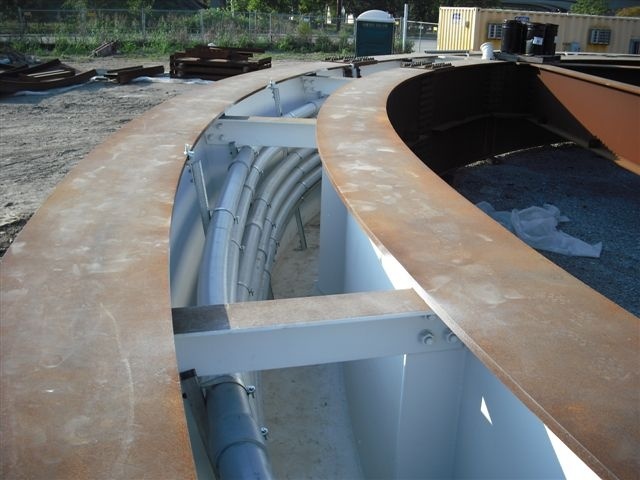 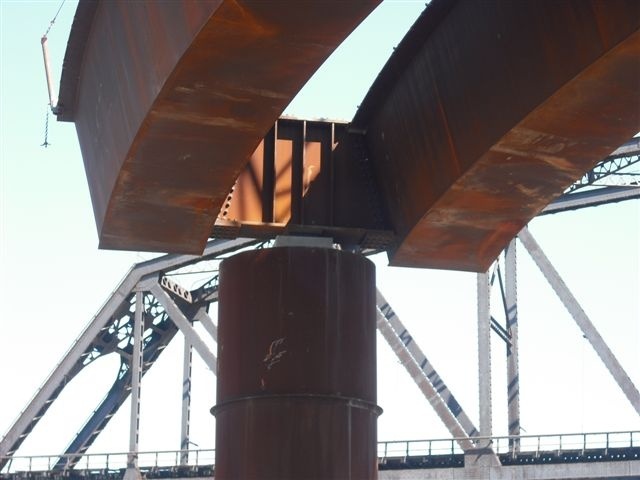 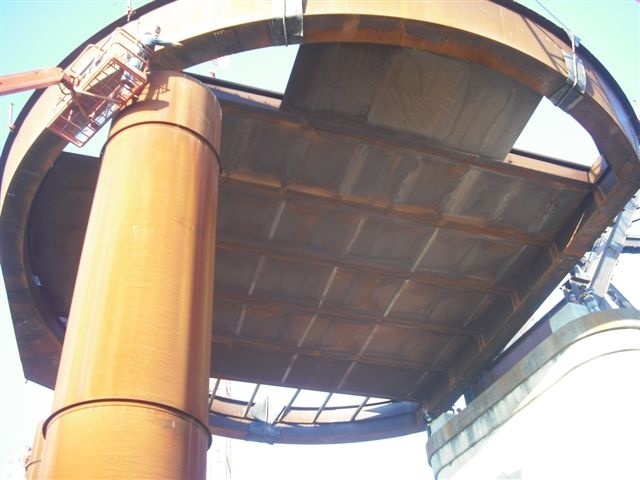 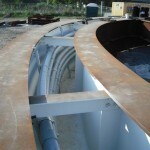 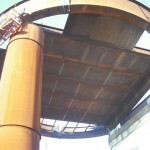 Additionally, a difficult weathering steel-cladding solution for the pier columns was replaced with a weathering steel casing to be used as stay in place formwork. 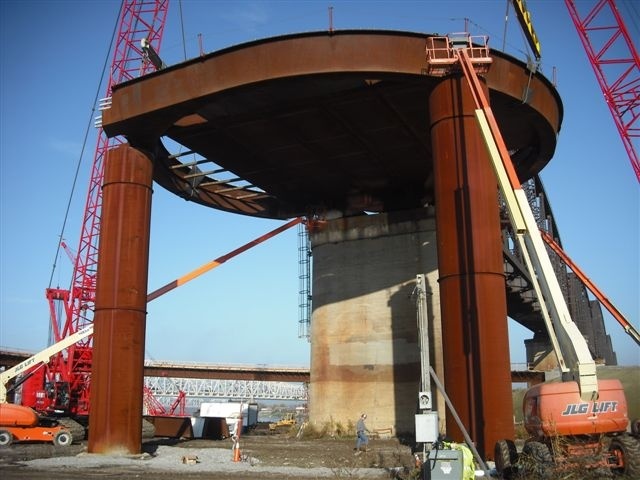 FINLEY also engineered an innovative ring-shaped steel box girder for the landing platform, which eliminated a much more complex framing system. 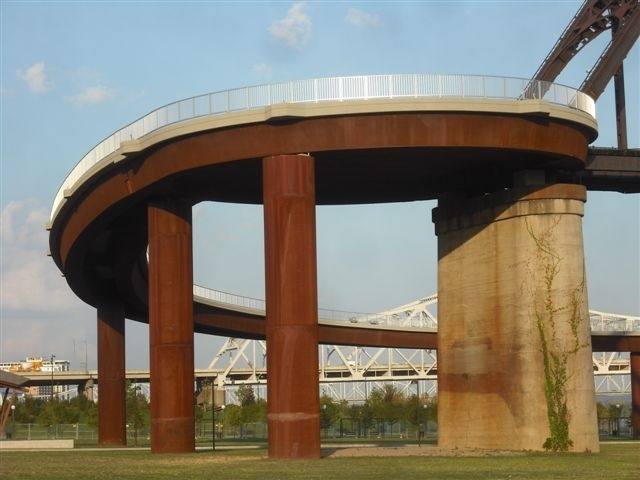 This redesigned girder offers an efficient system for supporting the circular-shaped platform while providing a consistent exterior surface to serve the owner’s aesthetic preferences.